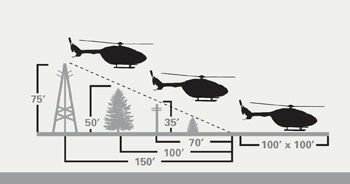 Nighttime LZ: Use strobe kits or vehicle headlights to mark the LZ. Flashlights placed inside orange cones are highly visible markers. 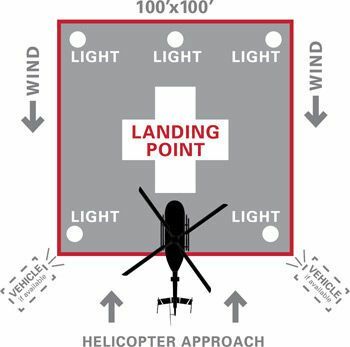 *Please exercise the above landing zone security guidelines and precautions throughout the entire operation.